One of the many drawbacks with regards to Proline is the poor odds value. This draws a lot of Canadians to switch to online sportsbooks each year. 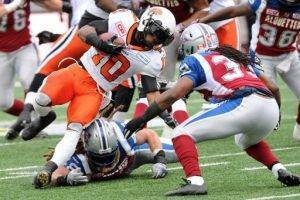 For instance when the Lions began the season against the Alouettes this year. Proline’s odds for the Lions to win the game outright was 1.60, Bet365 was offering 2.00. Bet365 was offering a 40% higher payout and this is pretty much the norm night after night. Proline betting can be a bit restrictive in its betting limits and betting markets so if you’re looking for something more flexible and more lucrative, we suggest that you check out one of our OLG Proline Betting Alternatives. For example, Bet365 is the best alternative to Proline CFL betting and if you sign up a new account there, you will receive a $200 Bonus! !